Pay-Per-Click (PPC) advertising is definitely the fastest way to see results from your marketing budget. If you aren’t currently utilising PPC we strongly suggest you opt for our paid search management service. We provide PPC management either as a stand-alone service, or as part as a full marketing package for your business. 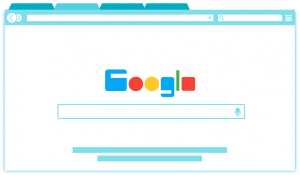 By advertising on the top search engines (Google via AdWords, Bing and Yahoo) you can effectively buy your position at the top of the results pages immediately. You only pay if someone has searched for your product/service and then visited your website by clicking on your advert. This can be extremely productive in getting new leads and sales for your business as it is highly targeted. Advertising on Social Networking sites (such as Facebook) can also have great results in driving new leads and sales to your business but requires greater audience targeting. Why use our Pay-Per-Click service? If advertising accounts are set up and managed efficiently you can see a great return on your investment. Getting PPC advertising wrong can be an expensive exercise in burning through your marketing budget quickly. We’ve been setting up and refining Google AdWords accounts and campaigns for over 7 years. We are experienced at getting the most from your budget. Initial set-up mistakes can prove costly. Without exaggeration (as we’ve cleaned up the aftermath!) one wrongly selected setting could literally cost you hundreds or thousands of pounds in the long-run. Keyword research, ongoing split testing of adverts and landing pages, refining of advert copy, monitoring of keyword performance & budget can be a long and laborious task. We make it easy for you to concentrate on running your business. We can take the hassle away from the process by setting up and/or managing your advertising accounts for you for a monthly fee (starting at £100 pcm for a small advertising campaign plus ad spend). We can then provide monthly reports showing the progress of your advertising campaigns. Alternatively we can review your existing advertising accounts. We’ll come up with suggestions to improve your performance (either as a one off service or part of an ongoing plan). 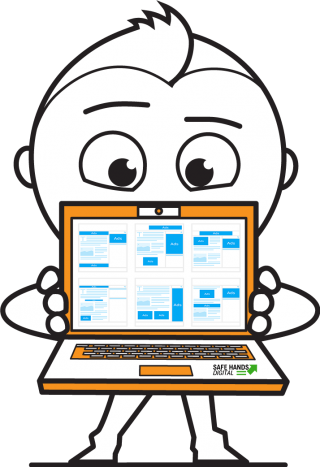 Should I prioritise my marketing spend on PPC or SEO? SEO is a highly valuable strategic long-term investment. Doing things the right way (and safe way) it can often take several months before you begin to see results. This is the nature of search engine optimisation today. An investment in SEO is a vital marketing activity for any modern business. If however you want to see results almost immediately then opt for our Pay-Per-Click service (while we work on your longer-term SEO plan). 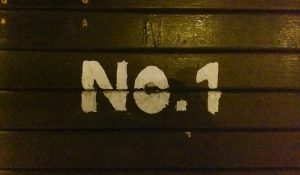 Beware companies claiming to provide fast ‘number 1’ natural search engine rankings! If you expect instant results without paying for PPC advertising then we’d suggest you look elsewhere (as anyone who claims to offer this service won’t have your businesses long-term success in mind). Anyone who promises you “position one natural Google rankings” within a ridiculously short time frame should definitely be avoided. If the offer seems too good to be true then invariably it will be. Use these companies at your peril. Businesses like ours often end up having to pick up the pieces after their ‘work’ has gone wrong! For best results why not combine PPC management with an ongoing SEO package. While we are working on your ongoing long-term SEO, get fast results with our PPC ad management service. As our SEO begins to take effect, we can refine and reduce your advertising spend on pay-per-click if you wish. Alternatively if continued growth is your aim both PPC and SEO complement each other extremely well. Contact us now to discuss how pay-per-click (PPC) advertising can help your business increase your leads and sales.